Cape Town International Airport. I hand the keys over to the car rental employee and ask him to take one last picture with “our” Volkswagen Polo. Our VW loyally assisted us throughout the long journey—6221 km in 29 days—from Johannesburg to Cape Town, driving through most of South Africa. The layer of dust enveloping the car testifies to the many vicissitudes we went through. It’s very hard remembering all of them; too many names, places, people and snapshots crowd our minds. Sitting at the gate, waiting for our flight back to Istanbul, Angeliki and I try to recall the stages of this incredible trip. Soweto is South Africa’s most metropolitan township. In the dusty streets, lined with simple row houses, children run after a ball, youngsters listen to rap music from a car radio, a group of faithful ones wearing weird uniforms go to church, all while small shops and stalls pop up on the pavement. One person is selling live chickens while another is having a haircut. 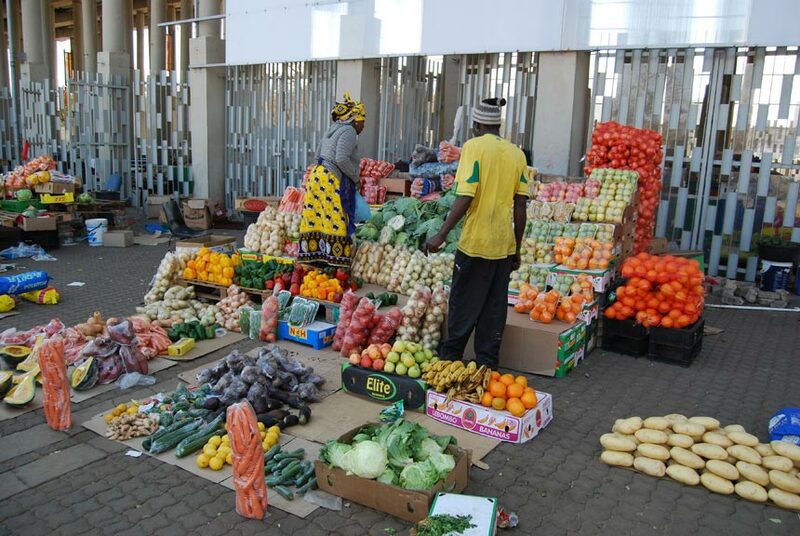 A chubby lady in a colourful dress rests in the shade of a tree next to her fruit and vegetable stand. They are all very friendly and warmly welcome us, often asking for a picture saying: “Shoot me, please!” They smile and are joyful, even those living in the hovels of the so-called informal settlements, who really don’t seem to have any reasons for being happy. Then we visit the touching monuments and places of the anti-apartheid struggle: Vilakazi Street, where the houses of two Nobel Prize-winners are found (Nelson Mandela and Archbishop Emeritus Desmond Tutu), the Hector Pieterson Museum and the Apartheid Museum. After flying in for a visit to Pretoria–the imposing Union Buildings and the jacaranda tree-lined boulevards forever stuck in our memories–we start clocking up a lot of kilometres, leaving Gauteng for the state of Mpumalanga. Around us are vast expanses of dry and burnt grass, as winter in this part of the country means draught. 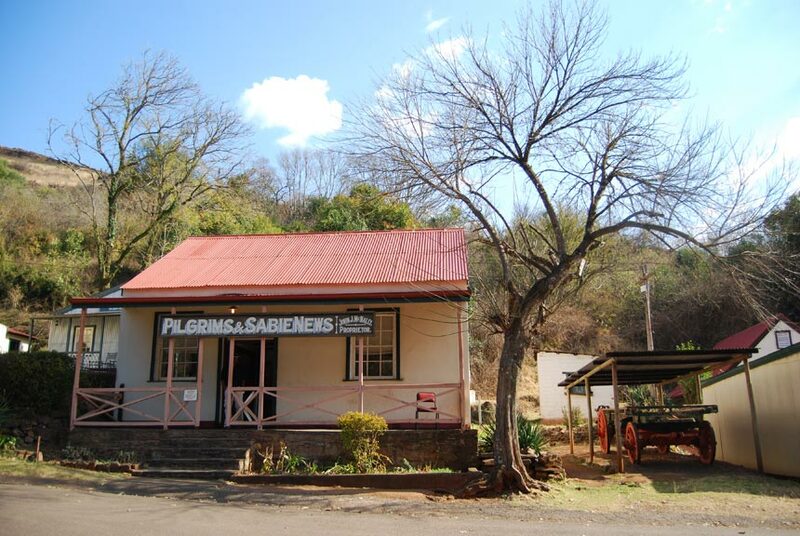 Our first stop in Mpumalanga is Pilgrim’s Rest, a little town founded at the time of the gold rush which today is a protected provincial heritage site. Strolling around the village, we feel like we’re on the set of a western movie: the saloon, the grocer, the barber, the typography, the school, the church, the cemetery and obviously the camps of the gold diggers on the river bank. 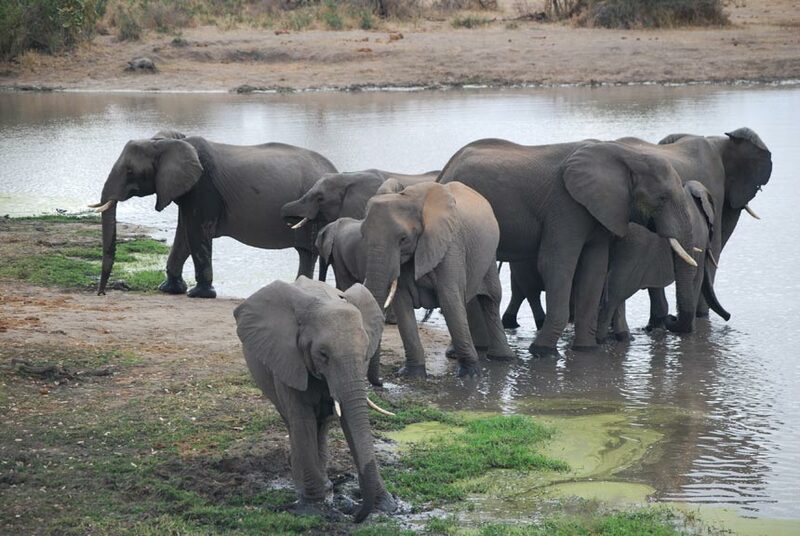 What can I tell about my three days in Kruger National Park? Nature at its best. Way too many memorable encounters: a rhino blocking our way and threatening to charge us, the hyena cub that we met every day in the same spot, a group of elephants taking a bath, a leopard sunbathing on a rock, herds of countless buffalos and above all a pack of 10 lionesses walking towards us in the middle of the road. A lion walking outside your car window and looking at you creates an emotion you will never forget. From Kruger National Park we cut through the landlocked Kingdom of Swaziland—where we spend a relaxing day in the beautiful natural reserve of Mlilwane—to reach KwaZulu-Natal and more precisely St. Lucia, the getaway to iSimangaliso Wetland Park. The name of this park, which in Zulu means “miracle and wonder”, effectively conveys its extraordinary beauty: ocean, sand dunes, forests, swamps and a large estuary form a unique ecosystem in which monkeys, crocodiles, rhinos, hippos, eagles, dolphins and whales, among many other species, coexist. 500 km later we have left the ocean for the mountainous region of the Drakensberg. We explore the Drakensberg from north to south beginning with the glorious 5 km-long cliff face known as the Amphitheatre, passing from the impressive Giant’s Castle to eventually reach Lesotho via the legendary Sani Pass by 4×4. 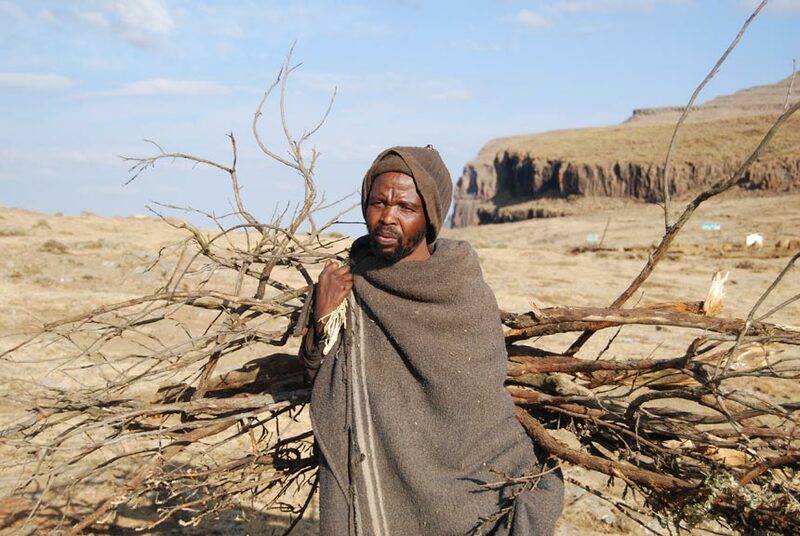 Of those days we recall the snow-capped peaks, the elands camouflaged on the mountains slopes, the winding dirt roads, the humble Basotho shepherds defying the cold wrapped in their blankets in company of their dogs, the villages of mud huts, the fascinating ancient rock artworks of the San people and the highest pub in Africa (2874 m above sea level!). Another long drive takes us to Coffee Bay, on the Wild Coast of the Eastern Cape Province. The dry landscapes of the north leave space to green valleys dotted by Xhosa villages, made out of round huts painted with bright colours. After the hikes of the Drakensberg, in Coffee Bay we can relax on the marvellous beach, while some surfers ride the foamy waves of the ocean. That was really just a foretaste of the Wild Coast, but it was enough for us to understand why it bears that name. 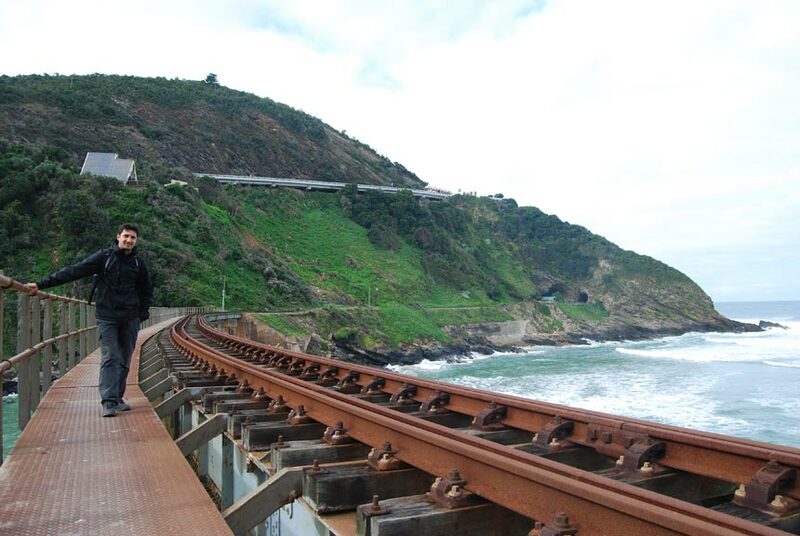 We have advanced to the famous Garden Route, undoubtedly one of the most spectacular stretches of coastline in the world. In less than 300 km are found an amazing deal of natural attractions as well as activities for extreme sports and outdoor lovers. In five days we cross rope bridges and ziplines in the tree canopy of Tsitsikamma’s indigenous forest, dine on oysters and paddle in the splendid lagoon of Knysna, go hiking in the rough peninsula of Robberg, feed and caress elephants, discover the magic world of birds and monkeys at The Crags, walk on an inactive railway along the coast of Wilderness, but we refuse to jump off the world’s highest bungee bridge at Bloukrans River. The adventure continues in Hermanus, where on a boat tour we have a very close encounter with the graceful, despite their size, southern right whales. One of my childhood dreams is finally fulfilled and we can toast to that in the world-famous wine lands of the Cape. In Stellenbosch and Franschhoek the European influence is evident in the architecture of the buildings and in the orderly beauty of the vineyards. As we enjoy our glass of wine in the elegant mansions, I can’t help but think of Italy, my beloved, far away homeland. We continue toasting in the wineries of Cape Town, at Groot Constantia for instance, the oldest wine producing house of South Africa. Cape Town immediately captures our hearts with its blend of nature and culture. The buzzing Long Street with its Cape Dutch style buildings, the brightly painted houses of Bo-Kaap, the V&A waterfront, full of restaurants, shops and entertainments, the Castle of Good Hope, and even the Robben Island Museum, a former prison where important pages of the country’s history have been written. When we have had enough of culture and we feel the urge to get back to nature, there’s no need to go far away. 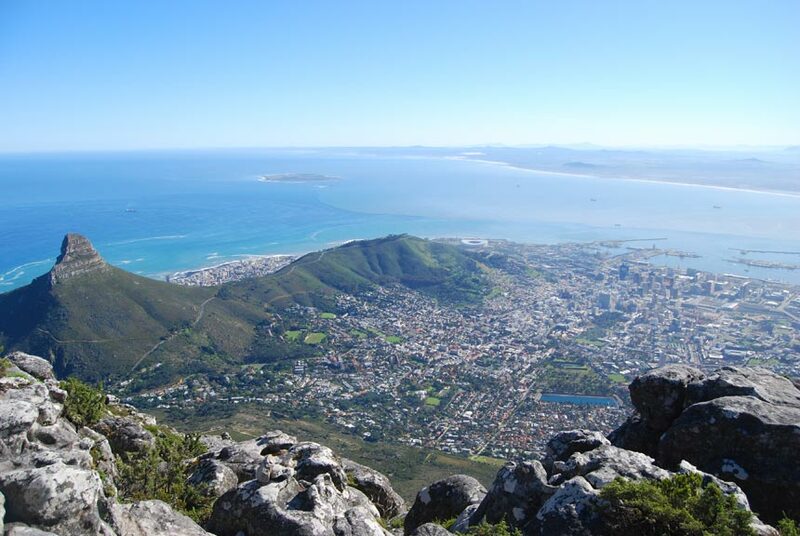 The lush Kirstenbosch Botanical Gardens and the golden beaches of Camps Bay are a stone’s throw from the city centre. However, nature is much wilder at Cape Point, the south-westernmost tip of Africa, a very perilous stretch of water where hundreds of ships have been wrecked. We also experience the fury of the elements when we are caught by a storm on the path to the lighthouse perched on the weather-beaten cliff. In the Cape of Good Hope, less than 1 hour from the city, we get to see a colony of penguins, ostriches, dassies, baboons and seals. I doubt you can do that anywhere else in the world. We can’t leave Cape Town without getting on top of Table Mountain, recently nominated amongst the 7 New Wonders of Nature. For the ascent we choose the easiest way: the cableway. It turns out to be a wise choice as once we soar to the top, there are still many kilometres to walk. The view from here is simply amazing. The whole city and surrounding area stand below us and only now can we really appreciate its unique beauty. There’s no better way to say goodbye to South Africa. Our trip ends after 29 days and 6221 km of unforgettable adventures. What a ride!